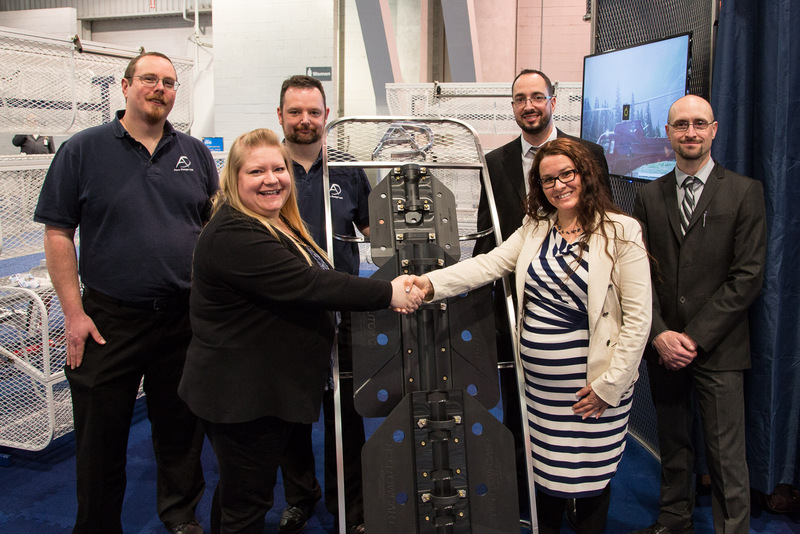 In 2018, Aero Design became the proud holder of the Helitowcart line of Bearpaws under Transport Canada supplemental type certificate (STC) SH06-24 and Federal Aviation Administration STC SR02432NY for the Airbus AS350/AS355, Airbus EC130 and Robinson R44/R66. This outstanding product already offers tremendous attention to detail that features streamlined pad shape and no lip edge allowing moisture and debris to easily flow off. The revolutionary iceblade feature provides dramatically improved traction on clear ice offering safety and comfort during start up and shut down combined with the reinforced rear section for increased longevity over the life of the product. Our goal at Aero Design is to achieve additional certifications for the existing models and expand on the line at the industry’s direction. As always, the relationship between Aero Design and Helitowcart will continue to grow and flourish through an expanded distribution agreement allowing Helitowcart to preserve support for their existing clientele. For more information about Bearpaws, visit our online shop. Helitowcart is proud to announce that it's popular V900 and V1000 series have been adapted to fit with the Bell 505 Jet Ranger X. Both solutions allow to lift the helicopter effortlessly and can be operated by just a single person. The Heli Carrier is already known for it’s flexibility, it’s tight radius turns and its great compatibility with multiple helicopters. The addition of the Bell 505 to the list of compatible helicopters for the Heli Carrier makes it the perfect choice for private owners as well as commercial operators. The Heli Carrier is also available with remote control option. For more information, visit Heli Carrier page. 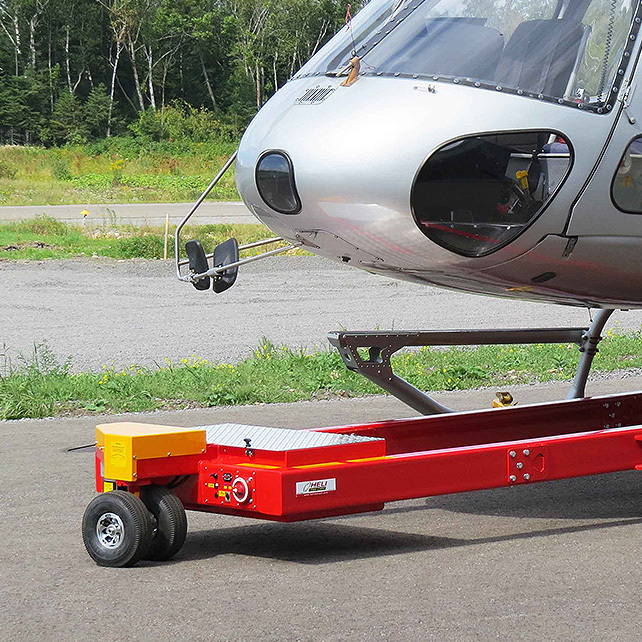 To complement the all new ground handling wheels released in January, Helitowcart is proud to introduce its Wheel Rack. This new product will allow operators to stow their robinson ground handling wheels and keep hangars tidy for everyday operations. For more information, visit our single wheels page. In order to support the new generation of H125 (formely knowns as AS350 B3e) helicopters, Helitowcart developped a new seat cushion that's great looking as well as very comfortable. The vinyl material used on the outside prevents wear from the seat belts and the polyester canvas in the center allows for great breathability. 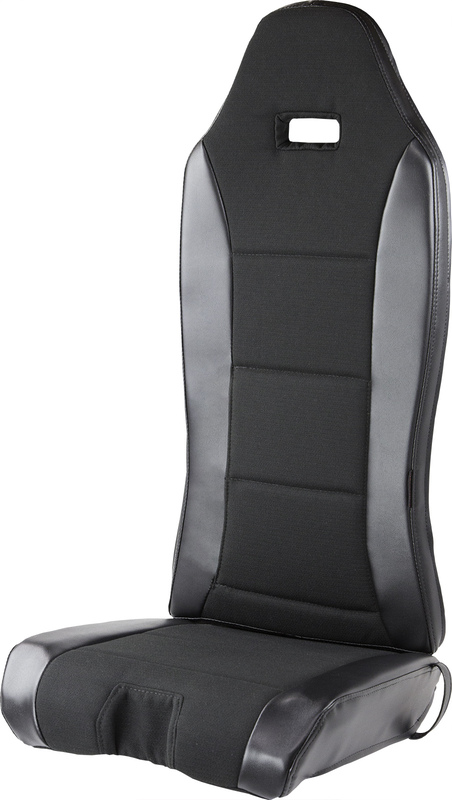 External lumbard support for quick ajustment and comfort. Great for pilots flying for long hours! For more information, visit our cushions page. Helitowcart is proud to announce their newly redesigned wheels for Robinsons. 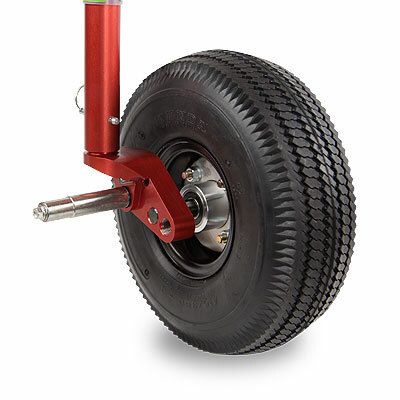 Lighter and more compact, they're the best choice for ground handling wheels! We've also introduced our Easy Roll tire for the wheels. It's a high quality solid rubber wheel that facilitates manual helicopter handling over hard surfaces. For more information, visit our wheels page. Helitowcart is proud to introduce it's V920 Remote Controlled HeliCarrier. Great New Feature! 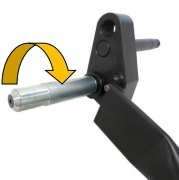 New pivotal skid pins make lifting the helicopter smoother, and preserves bracket and pin condition from wear. Replacement Pins Available Now! Great News: We have received US STC for our bearpaws installation on R66s. For more information, visit our Bearpaws page. This year again, Helitowcart releases a new product. It is launching its new V1060 Heli-Carrier. The new device was created to tow helicopters equipped with wheeled undercarriage. 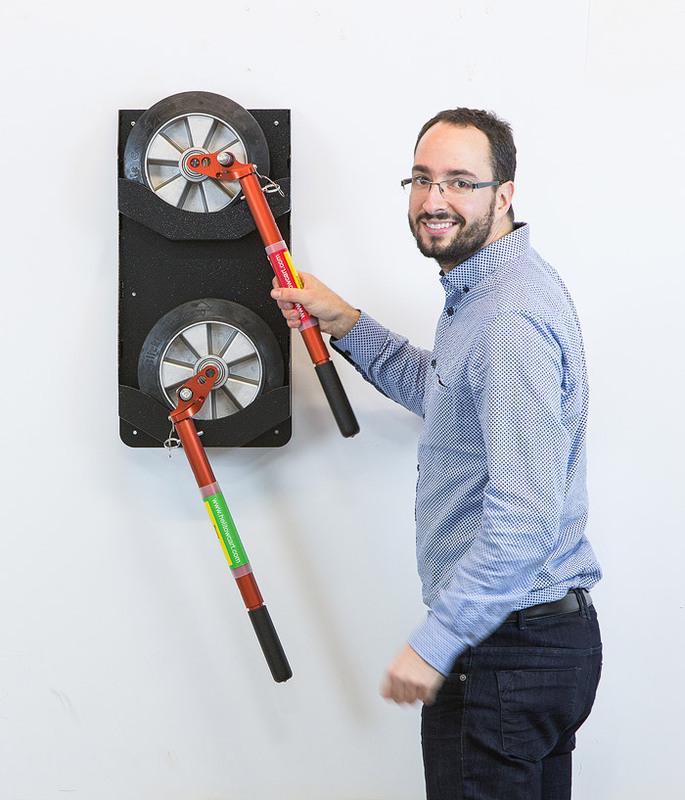 The machine is designed to handle helicopters by lifting and carrying the helicopter nose wheel. The V1060 is an addition to its powerful V1000 Heli-Carrier series. The unit offers great flexibility as it can perform tight radius turns for precise helicopter positioning. Aiming for versatility, the V1060 was created to serve an impressive list of helicopters such as the S92, S72, AW139, AW109, B230.430, B429WLG, EC175, EC155, AS330, AS332.EC225. The company is already in the process of developing a sister model to extend this new application to oil platform decks. The coming V1062 model will be fitted with large pneumatic wheels to easily roll over decks fitted with those challenging landing nets. This next new model will be available by June. 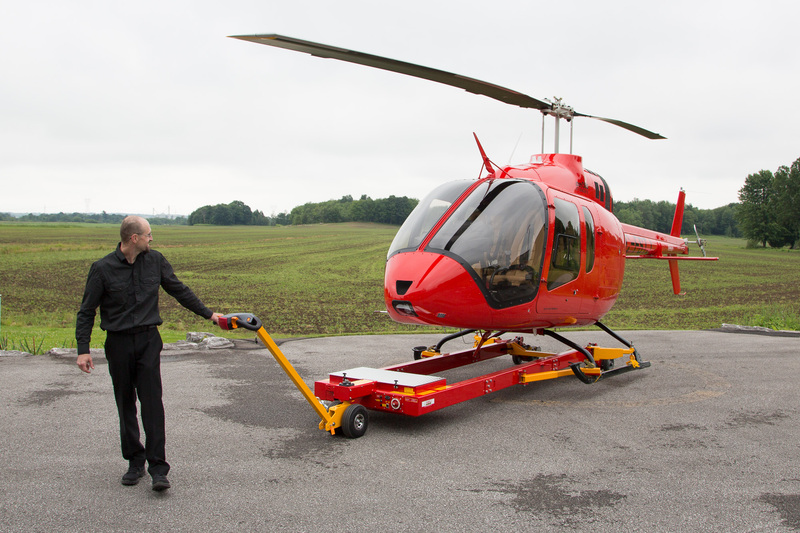 Helitowcart is a manufacturing enterprise dedicated at providing helicopter ground handling equipment and helicopter flight accessories to significantly improve daily quality of life for pilots, mechanics and managers. For more information, download our V1060 brochure. Long awaited ! We have finally received Transport Canada certification for our bearpaws installation on R66s. Bearpaws for EC130 get US STC! Already certified with Transport Canada for over a year, Helitowcart is happy to announce that its bearpaws for EC130s have finally received STC approval from the United States. These bearpaws are not only of excellent quality but are also offered at an affordable price. Great for safe landings on snow or in rivers. For more information, visit our Bearpaws page. This latest addition will cater to personnel operating on extra rugged terrain or wishing to spread helicopter weight on four tires. The long arm makes the rotation act effortless. As for other Helitowcart wheels, this model also offers two possible heights. The wheel assembly is made of heavy duty components and designed to ensure solid hold and protective contact with skid. 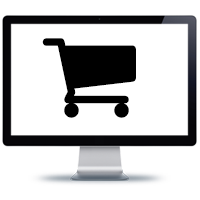 For additionnal information visit the Dual Wheels page.